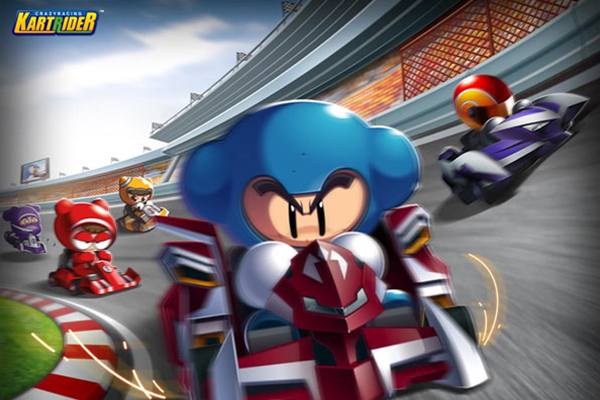 Crazyracing Kartrider, all-time favorite and household label under South Korean game publisher Nexon Co. is creating a second wave of sensation in a decade through mobile and live-streaming enhancement. According to industry sources on Monday, daily logged in users on the race game Kartrider in February soared by six times, compared to the summer season last year. It also put its name on the sixth in the PC game rankings as of Wednesday with a 4.19 percent share among all labels played in PC cafes. Kartrider, all-time past-time for kids since its premier in 2004, has drawn grown-ups as they chose the simple racing game while waiting to log into Lost Ark, a blockbuster multi player game from Smilegate released in November. Also, this year’s Kartrider League Season 1 that has been broadcast live through Naver and YouTube since the opening on Jan. 5 achieved more than 100,000 views per episode. Eight teams and 32 individuals compete in round-robin group stages, and the final round is scheduled to be held on Saturday at Kwangwoon University. The tickets sold out in just one minute. The game will likely gain further traction after it is serviced in immersion version for 5G mobile phones during the first half.